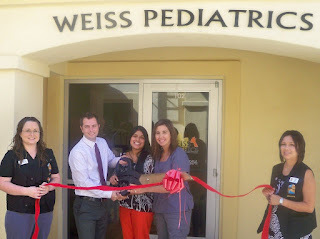 The Lake Havasu Area Chamber Ambassadors held a ribbon cutting ceremony for Weiss Pediatrics, celebrating its grand opening. Attending the ribbon cutting from left to right were Heather Franklin, Daniel Weiss, Dr. Prabha Weiss, Ginger Dorsett, and Devin Bell. 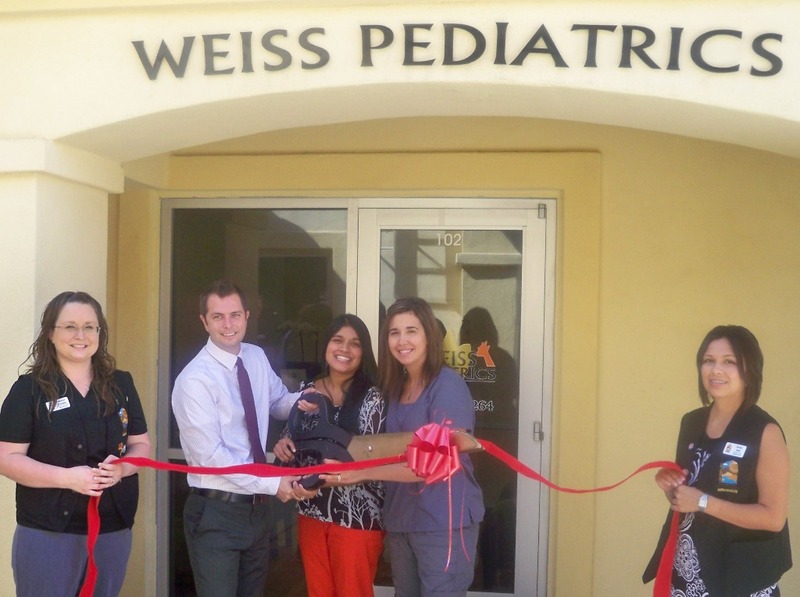 The mission at Weiss Pediatrics is to provide high quality, compassionate healthcare to the children and the families they serve. They believe that the ultimate goal of pediatric care is to establish a personal relationship with each of their families in order to achieve the best physical, emotional, and social health possible for children. Weiss Pediatrics is holding an open house on Thursday, Oct. 11, from 4:30-7:30 p.m. and invite all to drop in and meet Lake Havasu's newest pediatrician. For more information or to schedule an appointment, call (928) 680-1264 or just stop by 2082 Mesquite Ave. Suite A-102.